Electrical discharge alloying was performed on Al 7075 alloy with nickel powder mixed dielectric fluid to enhance wear resistance and to examine the self-lubricating properties. The present work highlights the concept of alloying of Al 7075 with nickel as a constituent material. Material characteristics such as powder concentration and alloyed layer thickness were analyzed through scanning electron microscope, electron-dispersive spectroscopy, optical microscopy and wear analysis was done using a pin-on-disc apparatus. 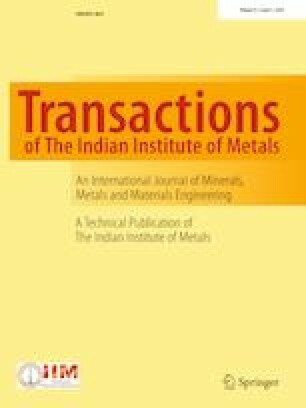 The influence of machine peak current (I), pulse on time (Pon) and pulse off time (Poff) on wear performance of electrical discharge alloyed Al 7075 structural material was studied using response surface methodology technique. Analysis of variance was used to identify the vital contribution of input parameters on the performance characteristics.